So you’re in Berlin. What have you found in Berlin that is different than say, New York? Well…[laughs] Where do I start, where do I start? A simple way of putting it: New York imposes a certain lifestyle on you, whether it be for need of money or just dealing with navigating the city, there is something about it that affects your mood. It imposes. Berlin does not do that. You can live your life, you can pick and choose what you would like to experience, but it never imposes a lifestyle on you. It seems to be a thing, all your albums sort of have this European feel to them. What do you think about their lifestyle appeals to you? I think that the easiest way for me to explain would be to go back, from a very young age. My mother actually did some city planning, which is going to sound like a stretch, but you just have to go with me for a minute. As a family, a big discussion with my mother, one of her biggest tasks as a city planner—she got pretty high up in the ranks in Santa Fe city planning—was to try to keep the city from turning into just another American suburban wasteland. You know what I mean? The kind of strip malls and the highways…you know, when you hit city, after city, after city in the United States, you always feel like you’re in the same place and nowhere at all. There’s no character, there’s no community, there’s no anything. And for her, it boiled down to simple concepts like mixed use and pedestrian areas and such. But for me it built into a much more elaborate thing. After a life of soaking in movies from Europe and culture and traveling, it just started to make more and more sense. 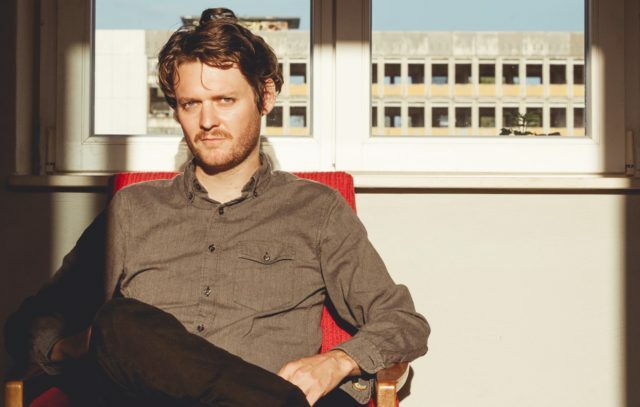 Ahead of his Milwaukee appearance, I talked to Zach Condon of Beirut about his new album “Gallipoli” in what sounds like the most cinematic phone call possible—while he was traveling on a train in Berlin. But even through the reality of noise of train cars shifting and in spite of the tunnels that kept disconnecting us, Condon went deep in an interview about his inspirations—new and old—from European architecture and an exposure to city planning at an early age, to a certain Farfisa organ. I think that some people who think that they enjoy lyrics are actually enjoying the music and they just don’t realize it. So what attracts me is that it’s not congested in non-culture. But on top of it, it also boils down to just walking down the street in Europe and knowing where you are and feeling encompassed by a beautiful city as opposed to this landscape of nothing that you get in most American cities that depresses me to no end. It just drives me insane. It makes me so incredibly sad. So it can go as simple as that. Or it can go as complex as the culture and leaning towards the arts and less towards this or that, or this or that that I experienced a lot in the States. I got lucky growing up in Santa Fe because it’s one of the few places that still has this characteristic look and this characteristic feel that is now so different than the rest of the States. It didn’t get washed over like most of the country…So I crave it and I look for it. And when I come here I feel it. I was reading your write-up on “Gallipoli.” Now, how did you get wrapped up in that brass band procession? And we walked in, joining a brass band, and of course, us being who we are were like, “Wait, let’s follow the brass band.” Completely happen-stance though, we had no idea. It was right as we walked out of the church door, literally. Could you tell me about some more things that you saw that led to the song being written? Because the music is a pure expression, there’s no diving. It’s pure emotion. It’s like straight to the source. So I think when I go to places like that, I soak something in. I don’t know what it is and it sounds kind of childish but nonetheless something happens. Some energy is picked up and it comes out in the purest form of music for me. It’s an organic growth out of the architecture itself. So sonically that’s how I conveyed [that night in Gallipoli]. I couldn’t exactly explain what it was—my best attempt would be to describe the place itself. And however that ricocheted around in my brain the next night or whatever, is how it came out. But just the city itself, with these tiny winding streets—like nearly claustrophobic in fact—were jam packed with people. During this procession they were carrying saints around from church to church through the city, and I believe when the church bells go it’s all bound for Milan and it’s all bouncing around and it felt like a very intimate part of things. Part of me is thinking, “Oh my god it reminds me of Santa Fe during fiesta” and then part of me is going “Oh, this is like a movie” and all this stuff is going on. And when I don’t really have a way to process it all entirely adequately, it comes out later sonically. That’s such a great story. It’s just like you were saying before. That cities have a unique character and community where people come together for something like that in a way that is genuine. Organic, you know? It’s an organic growth out of the architecture itself it seems in some way. For me, I really soak that stuff in. So part of this album and on that piece that you wrote, an essential character is your Farfisa organ. This organ seems to be a bit of a muse for you? It seems to be part of your story, part of you character, you know? All of a sudden I had this band at my fingertips, with this very distinct sound. What do you think it is about that organ that pulls it out of you? Well it came into my life really young, within the first year that I started writing songs. I was working at a movie theatre/gallery space where it just appeared. I ended up borrowing a car from my dad to pick it up when they offered it to me. So it was one of the first things I really laid hands on. I don’t know what it was about the sound…it’s so warm and lush and rich. What’s funny is that a lot of these have these rhythm repeaters and stuff. They were supposed to spit out these rhythms from old—you know, cha cha, mambo, waltz, that sort of stuff, right? And me being a completely untrained musician, all of a sudden I had this band at my fingertips, with this very distinct sound [laughs]. Which, most people would roll their eyes at. Most people try to get rid of these damn things. So there it was, I was choosing the chords in this instrument as a band playing it back to me. And like I said, it had a very distinct sound, obviously. So I was completely hooked. What is the main feeling you wanted people to hear from this album? This album in my mind, was going deep, sonically deep into everything I’ve learned and figured out. It was literally the case of sometimes pulling off like the self-defense warning frame you know—what was I doing wrong that was right here? You know, the stuff I did before was a mess. It was only me—all day everyday, all night, skipping school and I was just messing with it, messing with it, messing with it. It became a different world. It didn’t sound like anything else and it seems quirky the options you can get, but I liked that about it, barely holding on. But I was listening to a lot of old stuff. Obviously it’s not necessarily a solo record, but I had my hands on nearly every instrument on nearly every song. This is just taking it fully back and being really unapologetic about it. So, for lack of a better way to put it, I wanted to make a quintessentially basic record because I felt like I had developed a sound that was recognizable in its own way. I wanted to just dig deep. “Gallipoli” by Beirut is available now. And see Beirut live on Thursday, February 21 at the Pabst Theater.